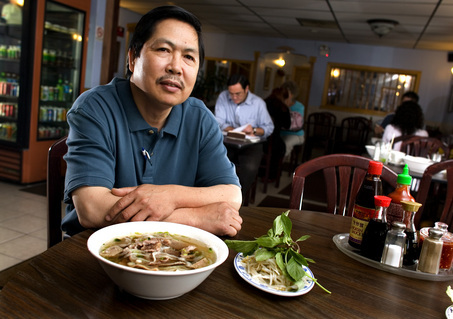 Big-ups to John Phan the owner of Ninh Kieu in Harrisburg, PA for doing his part to help those struggling in this tough economy. He’s offering bowls of pho for a penny. “This country has been good to me” he says. See more user contributed photos in our pho photo section.